When Prophet Muhammad (S. A. W.) reached in a town near Madina during his historical migration Journey, he (S. A. W.) decided to stop here for a few days for taking rest. 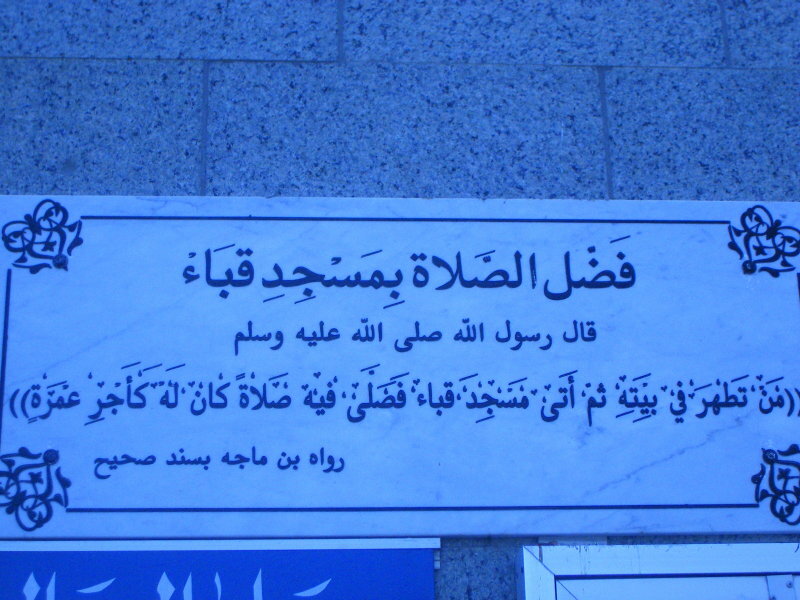 In those days near about 500 Ansar (Madina People) reached here to welcome and help him (S. A. W.). 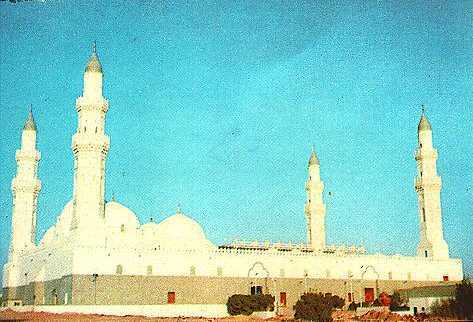 During this historical stay Prophet (S. A. W.) laid the foundation of this great mosque. 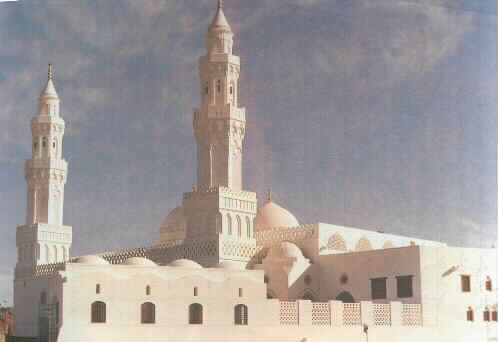 Prophet (S. A. W.) helped other companions to build this mosque. Like a Reward of One Umra”. When Muslims under the leadership of Prophet (S. A. W.) were going to perform Umra before conquering Makkah, Quresh did not allow them to enter in Makkah. 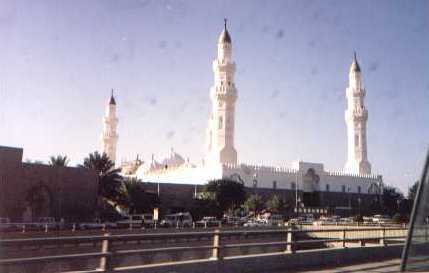 Muslims had to stop at Hudabiya. (If you travel from Jeddah to Makkah by road, you will see a big RAHAL over the highway. It is very near to Hudabiya and now a days non muslims are not allowed to go beyond this point. Here a police check post is made for checking the identity and passports). (S. A. W.) but kuffar-e-Makkah did not allowed them to enter in the Holy Makkah. 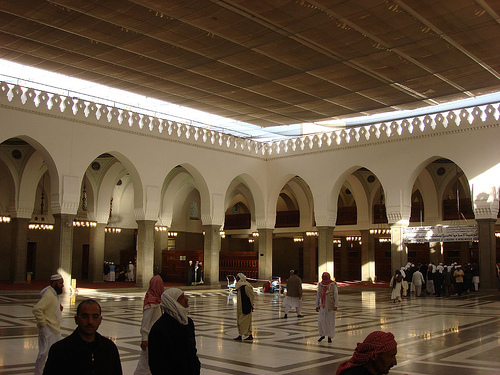 Muslims were stopped in “Hudebiya” (If you travel from Jeddah to Makkah, you will find this place 22 K.M. before Makkah where a big (Rahal) gate over highway is built. 4 . 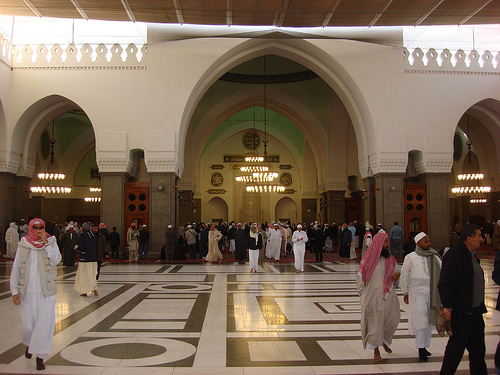 Quba is situated two miles from Masjid-e-Nabvi and taxis , outside Haram take pilgrims to show all Madina’s religious spots in which Quba is included. Yellow cabs take 10 Riyals per person to show all historical, religious spots. 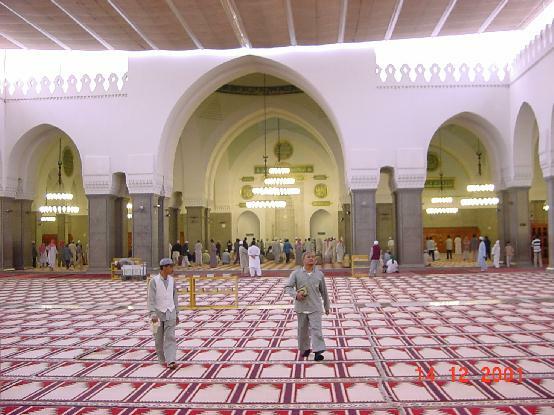 This mosque can be visited any day in any time but Saturday visit is said more reward able. 5 . 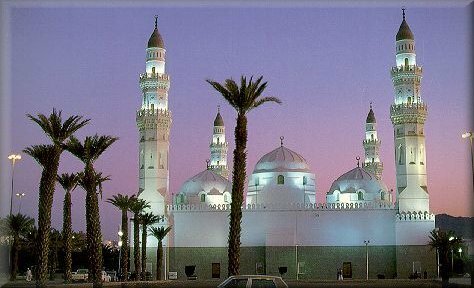 Now, this mosque is beautifully constructed. Basic construction of this mosque was done by Turks. But Saudi government decorated it beautifully. 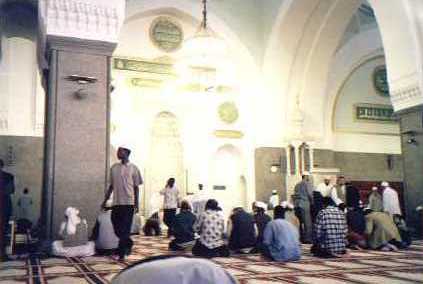 In the courtyard of this mosque a Mehrab is built where the verses of Quran was delivered to Prophet (S. A. W.). Ladies and gents entrance are separate. Ultra modern washrooms are built for pilgrims.